Bloem Water, one of the Water Boards established in terms of the Water Services Act to provide water services to other water service institutions within its areas of operations, presented its 2015/16 Annual Report. Bloem Water covers the Mangaung Metro, including the former Naledi, Kopanong Local and Mantsopa Local municipalities. It had a staff complement of 392 employees. The programmes were summarised in this year as 21 capex and 38 refurbishment projects, with a budget of R269 million. Only 30 projects were completed and 29 were still in progress. They had created 182 indirect jobs. The main reason for the delay in major capital projects was that funding could not be secured. Bloem Water had again Its Corporate Social Investment projects included assisting 68 schools with a variety of programmes, ranging across sanitation, cleaning and waste removal repairing, replacing/installing roofs, electricity wiring and toilet refurbishments. A major and ongoing challenge was that many municipalities were not paying the charges, putting its financial viability into doubt, and even though there were attempts at intergovernmental engagement, such as the Minister of Water and Sanitation bringing the matter to the attention of the Minister of Cooperative Governance, this was not achieving payment. The debtor days were as high as 70, compared to around 40 in other water boards. The lack of immediate funding meant that planned projects cannot be implemented and the efficient running of the entity is being compromised. There were certain Ministerial Directive projects, including the construction of the 33.7 km steel Welbedacht Pipeline, which was now in progress with the contractor appointed. Another directive is the Xhariep Pipeline, where the pre feasibility study has been completed, and a detailed study was about to start. The last directive is the bucket eradication programme, where there was no allocation in the year under review, with an instruction from the National Treasury that the Department of Water and Sanitation (DWS) must refrain from utilising Water Boards to implement these programmes. Members wanted more information on the directive for the 33.7km pipeline, who were the contractors, and consultants, and whether there was money available, if so, from which budget. All Members were dissatisfied with the 70 debtor days, and wanted to know what made the Bloem Water challenges so significant. They asked that the Minister give a rationale for wanting the Water Boards to cover such huge areas, and commented that the position of Rand Water, whose budget exceeded the DWS, was very different from the other boards and making them larger would not necessarily be viable. Members were pleased with the five consecutive clean audits and the corporate social investment programme but suggested that it might like to consider supplying sanitary towels to girls in schools. They were, however, concerned whether its debt to equity ratio was strong enough to make it sustainable, and asked why the money did not appear to be following the function when it was given extra tasks. They wanted to know if the tankering of water in was sustainable, and what projects were affected by lack of funding, and what plans it had to maintain ageing structures. Members questioned whether Bloem Water had achieved 2% employment of disabled people, and, on hearing that it had not, urged it to attend to both disabled and youth employment. It was pleased with the gender balance. They asked for the status report on the 27 boreholes still outstanding, who was paying for them, and wanted clarity from the Department exactly what its assistance was with those, whether financial or support. More information was sought on the bucket system eradication, and what support was provided by provincial and national government on drought and disaster management, and the involvement of Bloem Water in the Lesotho Highlands Scheme. More information was also sought on the 130 boreholes in Qwaqwa and what support was provided under the service delivery mandate. They sought comment on the rationalisation of the boards. Finally, information was given on the tender process. 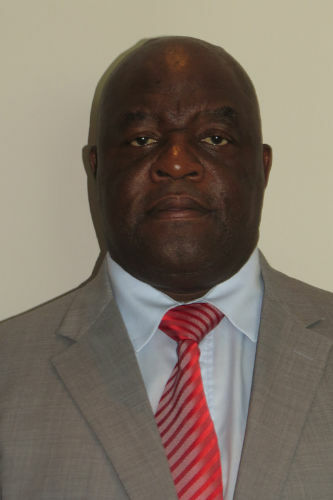 Mr H Chauke (ANC) was elected by the Committee as Acting Chairperson, since the permanent Chairperson, Mr L Johnson (ANC) was on sabbatical leave. Dr Limakatso Moorosi, Chief Executive, Bloem Water Board, noted that the Board (Bloem Water) was established as a Water Board in 1991, in terms with the Water Services Act No 108 of 1997. The primary activity of a water board is to provide water services to other water services institutions (WSIs) within its areas of operations. Bloem Water covers Mangaung Metro including the former Naledi, Kopanong Local and Mantsopa Local. As a project implementing agent for the Department it covers Kopanong Local Municipality and Mangaung Metro Municipality. The entity has a staff complement of 392. She firstly described the infrastructure development in the 2015/16 financial year. The infrastructure programme had 59 projects, which comprised of 21 Capex and 38 refurbishment projects. The budget was R269 million. 30 projects were completed to date and 29 are in progress. There were 182 indirect jobs created. The fact that funding could not be secured for construction of major capital projects delayed the implementation. She then moved to the operations and maintenance. With regards to operations and maintenance, she advised that during normal operations and scheduled maintenance two major pipe bursts were experienced on the main line. The Minister has since given a directive that will financially assist with a long term solution to the problem. There were 15 winter maintenance planning programmes, in consultation with municipalities and planned activities. There were 37 borehole explorations in rural villages, in conjunction with the University of Free State, and 10 boreholes are already in operation. Mr Ockert Stadler, Chief Financial Officer, Bloem Water, highlighted the debtor days analysis, which reflected a regression from 2014/15: 76.27 days to 70 days in the 2015/16 financial year. He advised that this is due to late or non-payments of invoices by the Mangaung Metro Municipality, which continues defaulting, and so does the non payment of accounts by Kopanong Local Municipality. Bloem Water did not report any unauthorised and irregular expenditure, or wasteful or fruitless expenditure in the year under review. Dr Moorosi spoke about the progress on ministerial directives, which included the construction of Welbedacht Pipeline (33.7 km steel pipeline) which is now in progress and the contractor has been appointed. Another directive is the Xhariep Pipeline, where the pre feasibility study has been completed and Bloem Water is now to proceed with a detailed feasibility study. The last directive is the bucket eradication programme, where there was no allocation for this programme in the year under review, but an instruction from the National Treasury that the Department must refrain from utilising Water Boards to implement Bucket Eradication programmes. Under its Corporate Social Investment, Bloem Water assisted 68 schools with a variety of programmes ranging through sanitation, cleaning and waste removal repairing, replacing/installing roofs, electricity wiring, toilet refurbishments. In conclusion, she highlighted the major challenges. The non-payment by municipalities is impacting on the implementation of infrastructure projects, and funding requirements for extension projects is not secured. Ageing infrastructure and the ability to fund future Capex projects also posed a continuing risk. Mr L Basson (DA) referred to the Ministerial directive to fund the 33.7km pipeline, and asked for more information on the contractors and the consultants on that project. Members had seen, on other water projects or directives, that the money had not been secured, despite the impression that this had happened. He noted that the debtor days were on 70, whereas others had reduced theirs to around 40, and he wanted to know what the particular challenges were with Bloem Water. In relation to the Ministerial directive (on page 27), he suggested that the Minister should appear to the Committee to explain the vision of the Department of Water and Sanitation (DWS or the Department) for making water boards cover vast areas. Sedibeng and Mohlale also had vast areas, and he was not of the opinion that a bigger board necessarily meant something more effective. He asked where the process was at the moment. Studies had been done, but more clarity was needed. Mr D Mnguni (ANC) congratulated Bloem Water for its five consecutive years of good audit opinions and the fact that no fruitless and wasteful expenditures was recorded. He applauded Bloem Water for the CSI (Corporate Social Investment) that it had undertaken in schools. He added that perhaps it might like to consider adding provision of sanitary towels for girls in schools where these essentials were so much needed. He asked if its debt to equity ratio of the entity was good enough for the entity’s future sustainability. He wanted more clarity on Bloem Water's assistance to municipalities by delivering water in trucks, asking also if it was sustainable, and how this could be eliminated in the longer run. In relation to infrastructure development listed at page 7, bullet number 7, he noted the mention of unsecured funding for major capital projects, and asked exactly which projects had been affected. He asked what challenges it faced when acting as an implementing agent in municipalities, part of its secondary activities. He noted the challenge around ageing infrastructure, and asked what is the plan and maintenance projects to maintain that infrastructure. Ms N Bilankulu (ANC) asked for clarity on staff complements of R392, and whether the 2% disabled targets had been achieved. She also wanted to know the gender balance in senior and junior positions. She asked how often meetings were held. Noting that there was mention, under operations and maintenance, of assistance from the Department, and asked whether there was a follow up on whether Ministerial assistance was to be given. She noted that ten of the 37 boreholes target were achieved but wanted to know the status of the others. She too was concerned about the 70 debtor days figure, which was too high, and wanted to see that reduced by at least 30. She noted the assistance to schools and wondered if Bloem Water engaged with communities and other water boards so that they could replicate the good systems. She was pleased to see that it appeared to be well-managed. She also wanted more information on how it intended to address the challenges. The Acting Chairperson said that more information was needed on the bucket system. He asked, in relation to the CSI programme, what role the Department of Basic Education (DBE) played, and whether Bloem Water was interacting or partnering with the DBE. He too agreed that the debts were really hampering the ability of Bloem Water to deliver services effectively. He asked whether it was really able, through its services, to make a real impact on the population and whether it was satisfied with what it was achieving. He wanted Bloem Water to speak to the rationalisation of Water Boards, and how a common understanding could be reached. He commented that Bloem Water was displaying good leadership. The Acting Chairperson did, however, comment that Bloem Water had said nothing about the drought and the support from the provincial and national government, and a lot of money has been spent already. He also wanted to hear more about support on disaster management, for which National Treasury indicated that a lot of money had been spent. He also wanted to know the involvement of Bloem Water in the Lesotho Highland Scheme. The Acting Chairperson wanted to know more about the 130 boreholes that the Committee was told would be opened up in Qwaqwa, asking whether there was coordination on this project, and who else might be involved. Finally he wanted to hear more on tankering of water. Mr Tefetso Phitsane, Board Chairperson, Bloem Water, said that there were engagements ongoing to try to reduce the debtor days. This included engagements with municipalities who were defaulting on payments. In regard to the Passenger Rail Agency of South Africa, there were different considerations; Bloem Water had a shareholder and there were various challenges at PRASA. He said that corporate governance laws and rules stated that an entity should have a minimum of four meetings a year, but obviously there special meetings that the board holds when it deems necessary. Dr Moorosi stated that the funding had been looked at and the Department has reassured Bloem Water that it would be getting funding in this coming financial year. The Chief Financial Officer would speak further on the debtors but she wanted to note that a memorandum had been written to Cabinet, by the Minister, to inform other ministers about the defaulters, particularly taking up this issue with the Minister of Local Government and Traditional Affairs. Bloem Water was now awaiting a response. A list of all defaulting municipalities would be provided to the Committee. She agreed that the financial sustainability of the entity is threatened by the ongoing non-payments by the municipalities, and it had to postpone some important projects in order to prioritise others due to limited funding. She reported that delivery of water by trucks was only employed when necessary, when a municipality is busy with maintenance. She agreed that the comment about CSI through providing sanitary towels was important and this comment was noted. The challenges that Bloem Water used to have with the Department on the issue of implementing agents were mainly to do with delay in payments and that had since been resolved. Bloem Water would now ensure that when it acts as an implementing agent for a project the funding for that project is readily available and allocated. She reported that unfortunately Bloem Water was not able to meet its 2% disabled staff targets as this was closer to 1%, but it would be looking into this in the coming financial year. The gender balance was important and there were many females at the managerial level, with three females and three males in the executive. The target for winter maintenance and operations was achieved. In relation to the 27 boreholes target that was not achieved, the universities had been unable to continue because there was no water, but they would resume work after the rains. Bloem Water became aware of the Department of Rural Development痴 work on the boreholes. It was not aware of the other departments that might be involved. It was engaging with the Department of Rural Development and Land Reform, on the Qwaqwa project. Mr Themba Ngubeni, Executive: Engineering and Projects, Bloem Water, stated that one programme addresses the ageing infrastructure, and there is also a five year CAPEX programme that is reviewed annually and looks at refurbishments and extension projects. This was also informed by another programme called Asset Condition Assessment, which is done on an annual basis. The programme looks into what can be done to maintain and sustain the infrastructure, addresses the issues of leakages and leak detection in the summer period, looks into the cleaning of the reservoirs, servicing of valves floor meters, and pumps and motors in the pump stations. The programme on asset condition is internally funded, under the operations budget. The major projects as identified in the CAPEX programme have not been implemented and by that he was referring to the Directive from the Department around the 33.7km pipeline project which is estimated at R500 million, but the Department has since come to board to assist with funding. However Bloem Water did have smaller projects that it could execute in-house. Another project not implemented was the extension of the Randfontein Treatment Works, estimated at R275 million. The designs were completed as early as 2015 but there was no money available to initiate the project. The construction of the pipeline between the Welbedacht and other dam to transmit water in two directions would cost an estimate of R250 million, and here designs were drawn but no funding had been allocated. Drought support was being handled through regular meetings attended with the provincial Department and with other stakeholders to deliberate on how water can be best managed and supplied, as well as assisting municipalities with the gazetted water restrictions. As implementing agents, Bloem Water will go to municipalities to implement the projects but when it left, there would be issues of operations and maintenance as the municipalities struggled with the maintenance of the new infrastructure. Mr Stadler said there is a reconciliation study for water supply in the Free State province, which was done by the Department, Bloem Water and other stakeholders. That would drive CAPEX funding requirement going forward, including the tariff increases. There is a clear plan on what is required. Ideally a R8 billion capital requirement is needed for the projects, but Bloem Water has a financial position of R1 billion, so it cannot sustain that. Other forums will need to explore what else can be done. The Acting Chairperson asked the Department to speak on the rationalisation of the Water Boards, and its impact on service delivery. Mr Dan Mashitisho, Director General, Department of Water and Sanitation, said the drought directed the way for many projects, and there had been some interventions on the sanitation side, particularly the bucket system. Some of these interventions are done for the municipalities, but do not fall within the terrain of the Department. There may be prioritisation differently in future, to reallocated money and DWS will work with COGTA and other departments to intervene in those areas mentioned above, rather than the DWS using its resources, and there would be more coordinated attempts and programmes. The Acting Chairperson asked what support was provided to Bloem Water by the DWS in terms of the service delivery mandate that it has. National Treasury had money, but it is not utilised, and instead the DWS was using 47% of its budget in drought issues, disaster management, yet some of that money can be used to assist Bloem Water in its service delivery mandate. Rationalisation of boards leaves Bloem Water on the grey area, where it cannot plan ahead, so the Department needs to speak on this whilst it is here. He noted that DWS was continuing to give mandates to Bloem Water without allocating money for those projects, and the Chairperson asked why the Department continued to do that. Mr Mashitisho said that the DWS is in discussion with other departments to come to a coordinated approach. The rationalisation of the boards is is trying to achieve economies of scale, because some of the water boards are too small compared to others. Ministerial directives are supposed to be accompanied by funding, because a directive cannot be given without the money. The DWS was essentially passing its work and therefore should also be passing over its money to the implementing agent, but if no money was available the Department cannot then give a directive. The Acting Chairperson asked the CFO if the money followed the function. Mr Stadler stated that there was money of R100 million that came in, plus some small amounts, but the 33.7 km pipeline project is not fully funded yet. The Acting Chairperson asked about the terms and conditions of the agreement when Bloem Water was given this directive by the Department; what had been said about payment, and when and how it was to be paid. Mr Ngubeni said that, in this financial year, when the directive came there was an allocation of R80 million, and in the new financial year an allocation of R90 million. The Acting Chairperson stressed that the money should be able to be traced, in the Annual Report of the Department and on its budget; the information that the CFO and DG were giving seemed to be conflicting. Mr Basson said the Department seems to be dodging the question about funding. The boards were seemingly set up to fail. Rand Water had more money than the DWS, with a turnover of R11.6 billion, and a Treasury allocation of R15 billion, and a profit of R4.1 billion. Such huge boards were not necessarily desirable. However, Rand Water covered a small area compared to the much bigger areas of the smaller boards - Bloem Water covered the whole of Free State. If most boards were financially stable, they should not be enlarged. The Acting Chairperson asked the DDG to speak on the sanitary issues and the bucket system. Ms Petunia Ramunenyiwa, Acting Deputy Director-General, DWS, responded to the Acting Chairperson's request for more information on the bucket system. A number of interventions to address the drought had been put in place, including tankering, drilling of 50 boreholes and testing 36 for water quality, as well as putting rain water harvesting tanks in some of the communities. The Acting Chairperson asked who is funding the boreholes, from which budget, and whether these were the same as the 37 boreholes referred to by Bloem Water. Ms Ramunenyiwa said the DWS is funding the boreholes and most of them are in the Qwaqwa area. Mr Aggrey Mohapi, Sanitation Manager: Free State, DWS, stated that Qwaqwa is one of the areas that was hit hard by drought and in some areas the Department was supported by Lotto. The Acting Chairperson noted that the Committee did not want to hear of its own boreholes, but those of Bloem Water. He asked again who is funding the 37 boreholes reported by Bloem Water. Mr Ngubeni said Bloem Water is funding them from its own resources and capacity, but the expertise used is drawn from from the university of Free State. The DWS had assisted Bloem Water in terms of increasing the water restrictions during the drought period. However, there was no money provided by the Department. The Acting Chairperson asked Mr Singh to talk about the bucket eradication. Ms Ramunenyiwa said in the 2013/14 financial year the number of buckets used in the country was 34 137 and to date DWS had eradicated 11 894, with different implementing models followed. The amount that has been allocated this year to this project is R422 million. There are still issues of connection to the bulk reticulation. Mr Basson said the figures from the Department and Stats SA are different; it must be understood that this is a moving target; it is not something that can be completely eliminated in one swoop. Mr Mnguni said Bloem Water should be looking at raising its employment of only 1% people with disability, and youth employment needed to be robust. Mr Ngubeni said the contractor for the 33.7 km pipeline project is Ultimate Dynamics and the Consultant is LTE. Mr Basson said LTE had been under investigation by the President, in Limpopo. The Acting Chairperson asked if Bloem Water was aware that LTE is under investigations. Mr Moorosi said LTE was appointed as early as 2012, but the project was put on hold and no appointment in fact had happened. Mr Basson said he was confused. If LTE was appointed as early as 2012 and the directive from the Minister came in June 2016, did that mean Bloem Water self-funded prior to that. Mr Moorosi said yes, but that project is a priority and the Department, when it agreed to fund, made it clear that it would not fund anything where planning and design had not happened. Bloem Water identified projects where planning was done already as top priority. Mr Basson asked if then Bloem Water is sticking to the 2012 tender prices, or if the tender prices were being escalated. Mr Ngubeni said the Engineering Council of South Africa guideline set fees and said no contractor should be appointed outside of those. The fees are calculated on contract value in 2012, and the appointment was done in terms of those guidelines, but only appointed now. Mr Basson said that he had been concerned that the contractor was appointed in 2012, with escalation in fees.